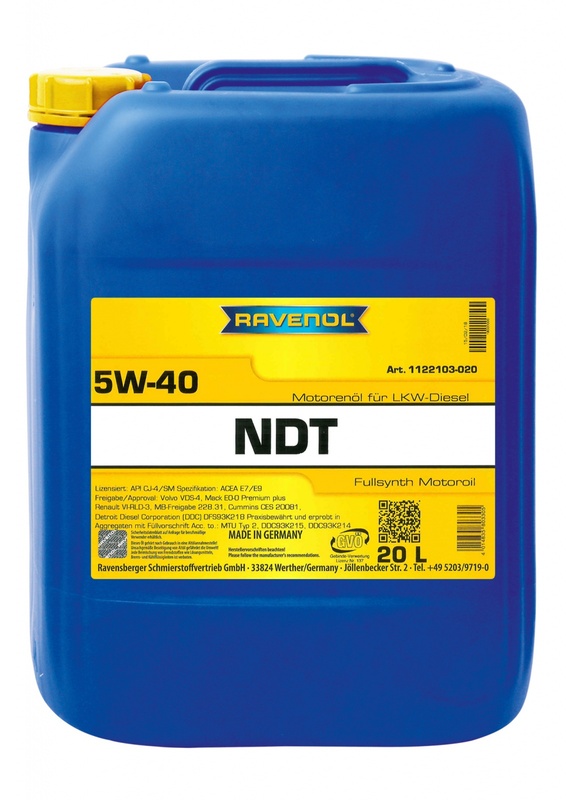 RAVENOL NDT Nord Duty Truck 5W-40 is a fully synthetic all-season multi-grade engine oil based on PAO, which is suitable for use in heavy-duty turbo and non-turbo diesel engines in commercial vehicles, pick-ups and SUVs. Can be used in new low-emission engines with exhaust gas after-treatment. 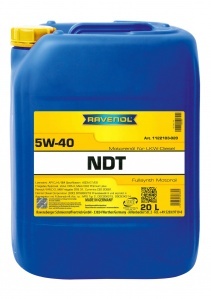 RAVENOL NDT Nord Duty Truck 5W-40 improves engine performance, reliability and cleanliness thanks to active agents that retain excellent viscosity. It was developed to reduce friction, wear and fuel consumption whilst allowing for extended oil change intervals.